Kung Fu fantasy and epic Wuxia adventure come to life in Tianxia: Blood, Silk & Jade. Created for Fate Core System! Launched on Kickstarter, Tianxia: Blood, Silk & Jade is now being made available to the world through RPGNow and Drive-Thru RPG! Renowned game designer Jack Norris presents an all-new adventure setting with Kung Fu rules designed from the ground up for the Fate Core roleplaying game. Beautifully illustrated in full color by Denise Jones, this book presents in detail the wild and dangerous Western province of Jingzhu, a border territory in the greater empire of Shenzhu. Players take on the role of Wuxia—wandering kung fu masters with skills and abilities that grant them the power to affect the fates of many—who are part of the Jianghu, a select culture of Kung Fu elite whose skills set them apart from other social groups. Tinaxia: Blood, Silk & Jade is the first of a series of supplements for the Tianxia line. Future books already in the works include the Tianxia Lifepath Generator, which will include an Addendum for using our Kung Fu rules with Fate Accelerated Edition, the Twelve Golden Butchers adventure, and other sourcebooks expanding on different regions of Shenzhu, opening up new gaming vistas like Chinese mysticism and epic battle scale combat. Tianxia: Blood, Silk & Jade is designed for Evil Hat Productions’ Fate Core System and requires those rules to play, but the supplemental material is written so that it can be easily used for any role playing system. Your journey through the world of Tianxia begins here: you might be a beggar priest, or the child of the Emperor himself, but it will be your abilities as a Wuxia that shapes your fate… and the fate of everyone you meet. Really wanted the hardcover, so I ended up buying it on another site, but I'll be looking forward to picking up the other POD books in the future. Will a POD version of this ever be available. Just can't get this book in print in the UK. Chronicle City still has it in stock, according to their website! You get the PDF for free if you buy it from a retailer, through our Bits and Mortar program. We don't currently have plans to release a POD version of Blood, Silk & Jade. We still have plenty of the hardcovers in stock. This looks great. I am thinking about setting a game in Tamora Pierce's Tortall, and this would be a great supplement for players who wanted to play as Shang. 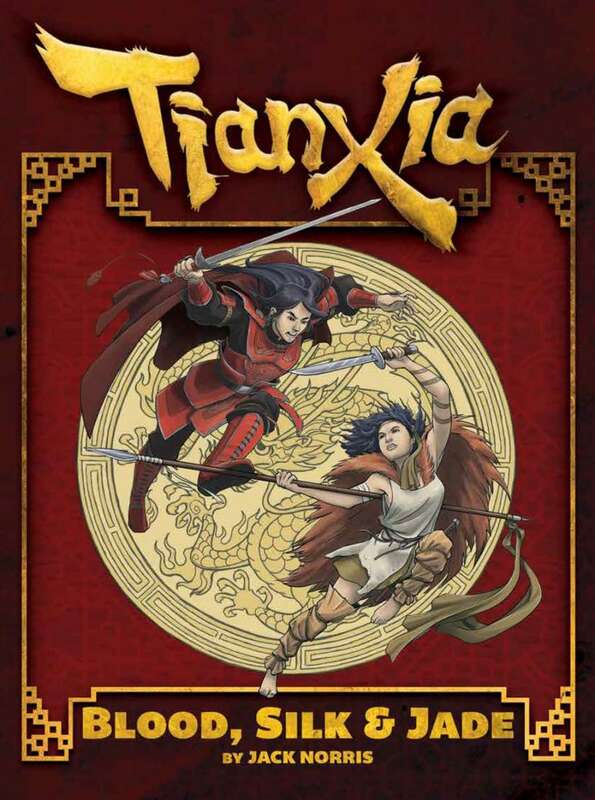 As a Kickstarter backer, I can't give a formal review (because I didn't buy it from this store), but I wanted to express my admiration for Tianxia from all my various perspectives: fan of wuxia fiction, writer, game designer, and martial artist. The book is simply beautiful, well designed, with a setting and personalities that are truly exceptional. This is one that's well worth the space on your bookshelf, digitally or physically. This title was added to our catalog on March 10, 2014.